Captain Ed McNelley (BPD Ret.) and Captain Mike Drummy (MSP) of Cops for kids with cancer, went to Nashua, N.H., Police Dept. today, to make a donation to Aaliyah Davis, 14 yrs. Aaliyah is being treated for cancer. 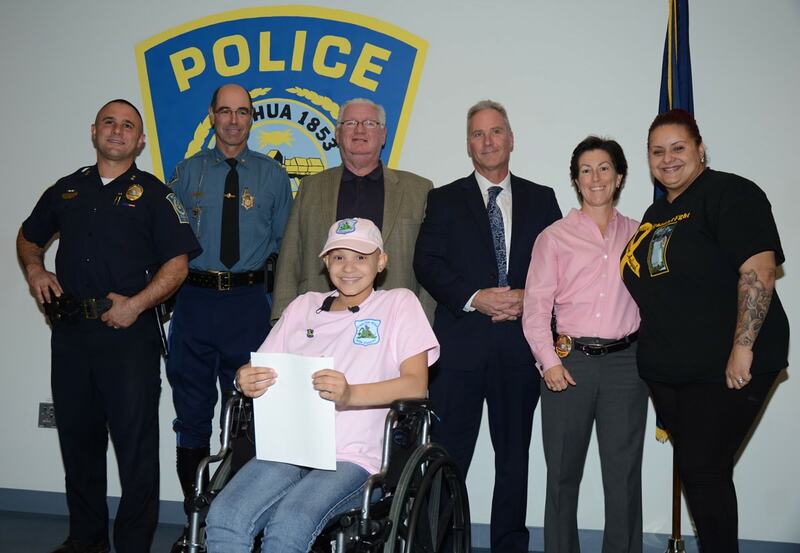 A special Thank you to the Officers of Nashua Police Department for going all out for Aaliyah and her family.